Picked fresh from the farm to make your special recipient's season both merry, and oh, so, bright, our Season of Love Holiday Bouquet is set to create that perfect yuletide gift! 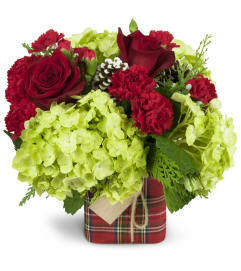 Hand gathered at select floral farms, this flower bouquet brings together a blend of red blooms, amongst lush greens and natural pine cones to charm them at every turn. 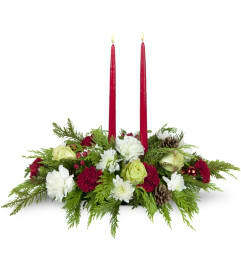 Picked fresh for you, this Christmas arrangement is a warm and winning way to send your love and caring kindness to friends and family throughout the holiday season. 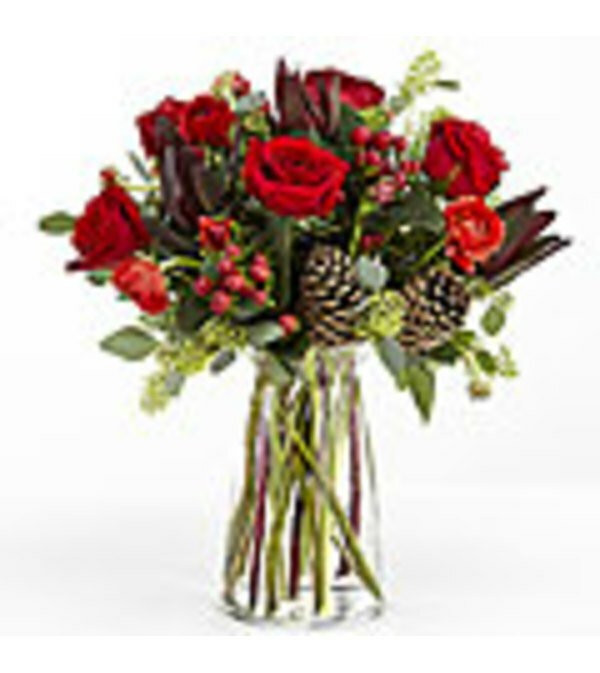 Bouquet includes: red roses, red ranunculus, red hypericum berries, seeded eucalyptus, leucadendron, and natural pine cone accents with a clear glass vase.